€4,000 pcm. House / Villa For rent Minimum Rental Period: 12 Months. 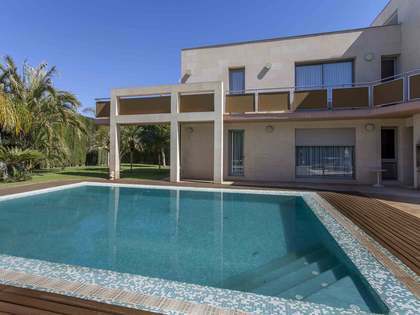 The house is located in the centre of a plot of approximately 1,340 m². Surrounded by lush vegetation, crossing the garden we find a small staircase that leads us to the front porch, which is itself an extension of the front terrace overlooking the pool. 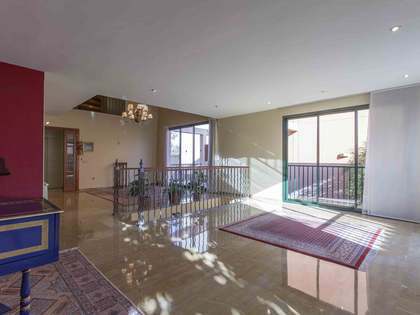 The warm and welcoming entrance hall provides access to a very cosy and comfortable home. Featuring solid wood and tapestries made in Seville, the hall gives access to the living rooms on the left. These are 2 impressive lounges lined with wooden panels, tapestries, bookcases and a fireplace. It also has 2 dining rooms, one which is more formal, with wooden floors and another which is less formal and close to the kitchen. In addition, a gazebo at the back of the house is great for hosting large gatherings and you can enjoy the good weather in the summer by opening the windows and be near the outdoor barbecue. We continue with the spacious, fully equipped kitchen which is connected to the service area, consisting of a utility area and a bedroom. The main floor also has a guest bedroom or study and a bathroom. Climbing the wooden staircase to the top floor, we enter the sleeping area. 3 double bedrooms with fitted wardrobes, a spacious bathroom, and master bedroom with en suite. The master bedroom is majestic, lined with generous closets, a living room and a spacious bathroom with mirrors on three sides of the dresser. In short, a charming, warm home with plenty of storage space and that has been very well cared for. 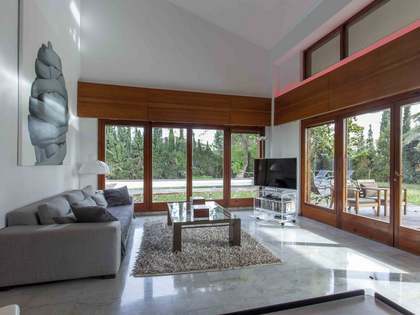 It has large windows and plenty of natural light. 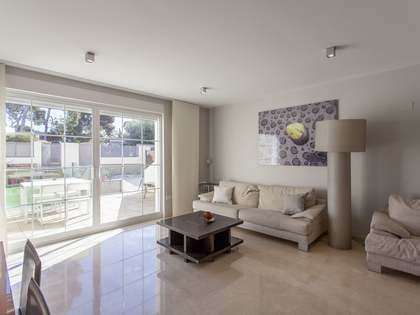 Located in the Santa Bárbara private residential area in Rocafort, Valencia. 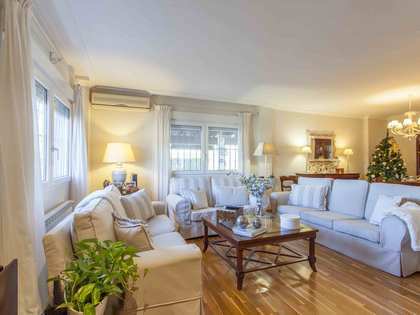 It has private security and is located just 10 minutes from the centre, 15 minutes from the beach and leisure area, near supermarkets and international schools.